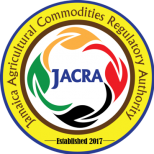 The function of JACRA is to set quality standards, provide quality assurance and certification services, and govern the trading of pimento, nutmeg, ginger, and turmeric. Pimento trees are being cut down for different uses locally, especially for the use of charcoal production for jerking meat. The price competition for pimento on the international market is significant, due to other growers in close regions, particularly major producers in Mexico. Rhizome rot, also called soft rot, is one of the most devastating diseases of ginger. Initial symptoms of the disease appear as light yellowing of leaf tips which gradually spread down to the leaf blade and leaf sheath along the margin. Subsequently the yellowing spreads to all leaves followed by drooping, withering and drying. Infected shoot can be easily pulled out from the soil. Due to the fact that turmeric is grown mostly in the wild, it can be difficult to control its growth and maximize the harvest.